Green energy comes from natural sources such as sunlight, wind, rain, tides, plants, algae and geothermal heat. These energy resources are renewable, meaning they're naturally replenished. 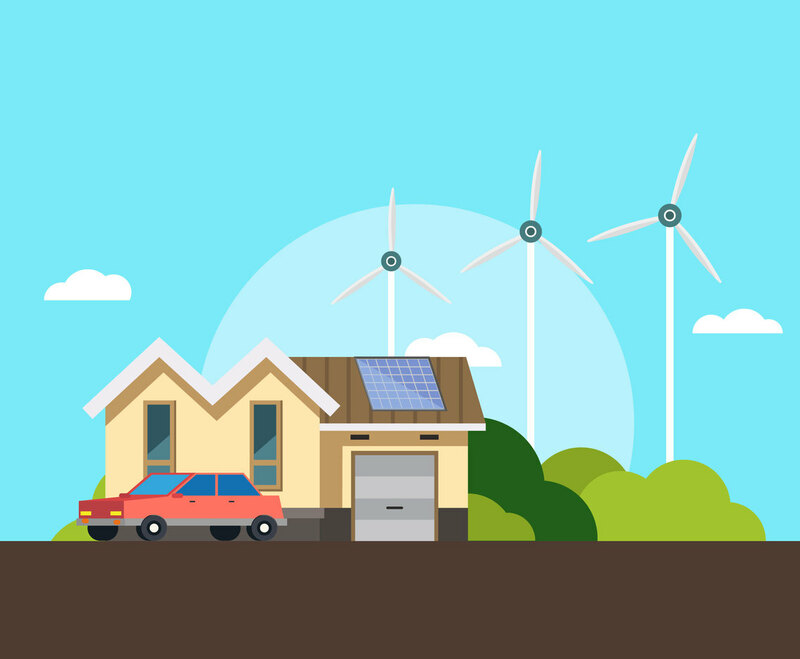 Here is a vector illustration that includes wind power energy resources as well as the sunlight trough solar panel on the the roof. You can use it as part of infographic design about renewable energy or for eco green website header.